The Interlude Spa now offers eyelash extensions that promise to add depth and lushness to your eyes. How long does it take to apply extentions and how long they last? For a complete installation, it usually takes about 2 hours. After 3-4 weeks, a touch-up might take around 30 minutes. 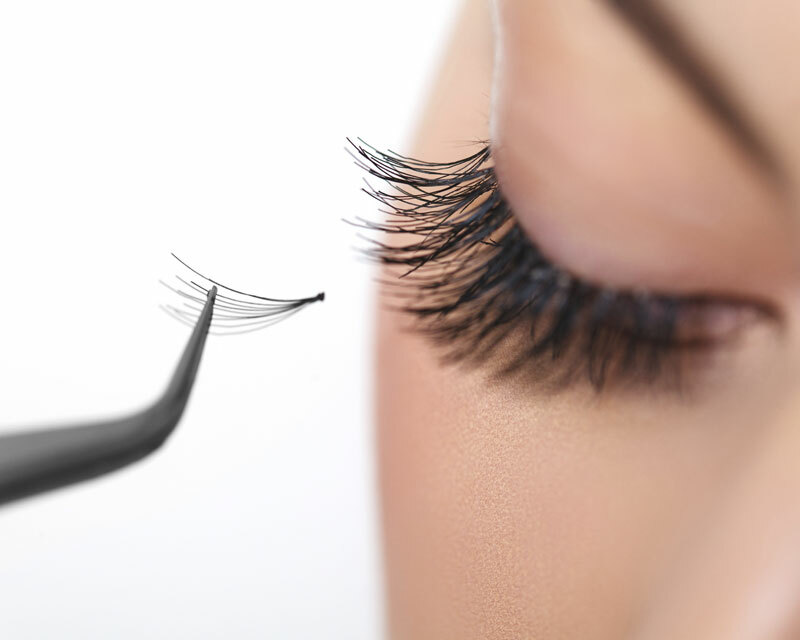 Lashes fall every 60 to 90 days, and new ones constantly grow. That's why it's necessary to do a little touch-up every 3-4 weeks, to maintain the desired density. You will be comfortably lying down with your eyes closed. A certified professional will apply lash extensions one by one, using a special adhesive that is exclusively reserved for lash extensions. Will it damage my natural lashes? This new technique will not damage your lashes because the application is done lash per lash, without touching the skin, using a special adhesive that is exclusively reserved for lash extensions. Never trust a technician that may have had their training done by a CD, DVD, books or on a mannequin's head. A bad technique could end up being disastrous for your eyes or your eyelashes. Your new lashes are long, thick, and gorgeous! They need minimal care and will easily adapt to your lifestyle. They resist water, perspiration, and tears. You can swim, shower and may do sports with no worries. You will have to brush them every morning with an eyelash brush. Do not use oil based products, lotions, or waterproof mascaras. These products will cause the adhesive to weaken. I would absolutely recommend this. I know so many of my friends and women who spend a lot of money buying mascara, looking for the fullest, longest effect - I was one of them. But since I had my lashes done, I won't have to keep looking for new mascara coming out and spend a lot of money trying to duplicate the look that I now have. Thanks! I believe that I am going to be able to keep very good care of my lashes with the information I was given and the products that I bought as well. The service was done before we knew it. When my friend heard it was 2 hours, I was a bit shocked but the time flew by. It wasn't an issue at all. I'd go back in a second. I really do love my "new" lashes! I can't feel them at all and they always look done. It's that extra bit of oomph that I've been trying to find in a mascara for years!